We are pleased to be open for our 2018 Season. Things are going well and visitors seem to be pleased with the improvements we made this past winter. On that note, please allow me to share a challenge we have and the ways we are attempting to meet it. Technology is our challenge. The expectation of our guests these days is different than what it was when I first got here almost 40 years ago. Now, high speed internet, cable TV, and “connectivity” in general is in high demand. When I realized that this was becoming important, we immediately started looking for options. Well, up here, we quickly found out we have some unique challenges. First, the buildings themselves do not lend themselves to WIFI. There is to much steel and concrete. Next, we do not get “cable” up here. Then, we found out the phone lines up here will not support what is expected by our guests. And the challenges go on and on. A few years back, we were able to get a satellite TV system. It is now outdated and must be replaced. Our internet started out as a slow satellite connection and has more recently been converted to a “RF” (radio frequency) connection. It is ok, but not great. A few years ago, we had to run cables into every room because the WIFI was simply not going to work. The cables improved things, but still not to the level our guests expect. There is a challenge simply installing all of this stuff in a 50+ year old structure. We are doing all that can be done. Please know that it is a priority for us in the near future to increase our connectivity and the quality of our technology service here. If it can be done, we will do it. I welcome your suggestions and comments. By the way, I still do hear from the older guests that we do not need TV or internet or phones up here. They like the idea of NOT being connected. I get that, but……though I try, I cannot stop progress. 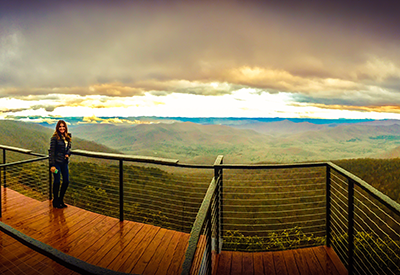 Our guests have long enjoyed the spring breezes, summer air, and fall foliage from our observation deck and now it is more spectacular. We have completely rebuilt and reengineered our deck and it’s ready for the upcoming season. 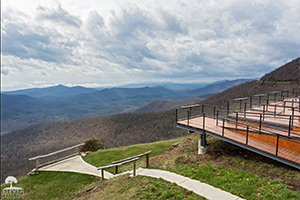 The much enlarged deck will provide you with more space to enjoy the unique views Pisgah has to offer. Relax while enjoying a glass of iced tea or your favorite wine. Whether you’re joining us for a meal in our beautiful dining room, spending a day or two in our lodge, or simply taking in the beauty of the Blue Ridge Mountains, we feel sure you will enjoy it. The Pisgah Inn continually strives to be the best and we all appreciate your continued support. If you have any comments or concerns, please feel free to call or email. Pisgah Inn Voted #1 Best National Park Lodge! It was a hard-fought and extremely close battle between the top two lodges for the title, but in the end, Pisgah Inn of the Blue Ridge Parkway took home top honors, thanks in part to its beautiful mountain views and excellent meals. 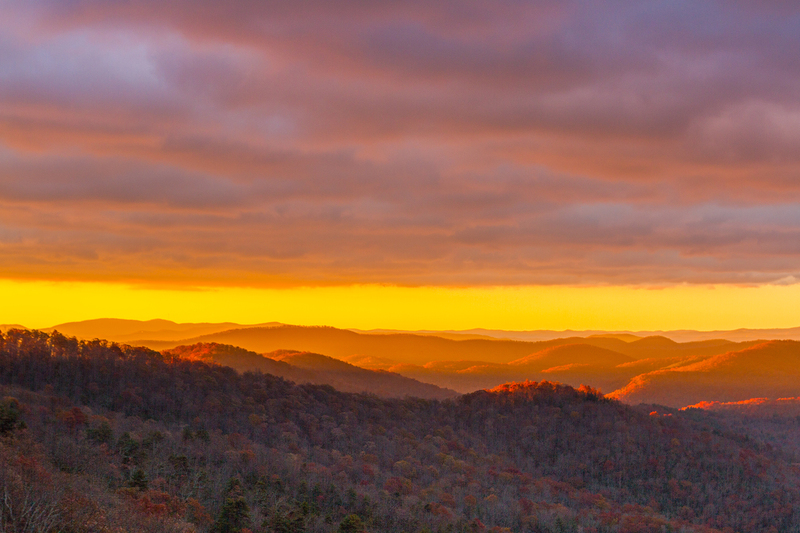 The Blue Ridge Parkway is part of the National Park Service. Runner-up Many Glacier Hotel, located inside Glacier National Park, boasts some of the most spectacular views of any national park lodge. 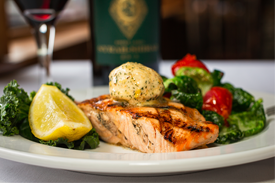 Our restaurant serves breakfast, lunch and dinner, seven days per week. © Copyright 2018 Pisgah Inn, all rights reserved. Powered by Lone Bird Studio llc.